This is a tale of two scandals. One involves Brett Kavanaugh, a conservative Supreme Court nominee. The other involves Keith Ellison, the vice-chairman of the Democratic National Committee, a sitting United States Congressman and candidate for Attorney General of Minnesota. Kavanaugh’s confirmation to the Supreme Court will be delayed because a highly partisan Democrat, Christine Blasey-Ford, accused Kavanaugh of sexual misconduct for an incident that allegedly happened over 35 years ago. Kavanaugh has ties to his accuser through his mother. Judge Martha Kavanaugh granted a motion that dismissed a 1996 foreclosure action against Blasey-Ford’s parents, Ralph and Paula. Not much has been mentioned about this connection between Kavanaugh and his accuser in the mainstream media. Another tidbit about Blasey-Ford that has not been widely reported is that her brother worked for the law firm that paid Fusion GPS to work with the Russian lawyer who set up the infamous Trump Tower meeting. Blasey-Ford has a fuzzy memory regarding the events of the night of the alleged assault. She has said she doesn’t remember the exact location of the party where she claims the sexual assault happened and the exact time when it took place. Mark Judge, a friend of Kavanaugh who Blasey-Ford claims was with Kavanaugh on the night of the alleged assault, said he doesn’t have any memory of the incident. Despite all this, Democrats are now screaming wildly to delay the Kavanaugh vote which was originally scheduled for Thursday, September 20th and are calling for the FBI to investigate the allegations. On Tuesday night, Mediaite reported that Blasey-Ford’s lawyers said their client will not testify before the Senate Judiciary Committee until there is an FBI investigation. However, FOX News’ Tucker Carlson reported on Tuesday night the FBI will not investigate Blasey-Ford’s allegation as it is not a federal crime, and will only investigate if asked by the White House. If it weren’t for double standards, Democrats would have no standards at all. Case in point: the Democrats’ own vice-chairman, Ellison, has been accused of assaulting not one, but two women. And like Kavanaugh, Ellison is denying the allegations. Ellison’s ex-girlfriend, Karen Monahan has been trying to tell any Democrat who will listen, that she endured verbal and physical abuse from Ellison during their relationship. Monahan, herself a Democrat, tweeted she has been threatened, smeared and isolated from her own party. In August 2018, Monahan’s son wrote in a social media post that he saw a video on his mother’s computer where Ellison dragged Monahan off the bed by her feet. 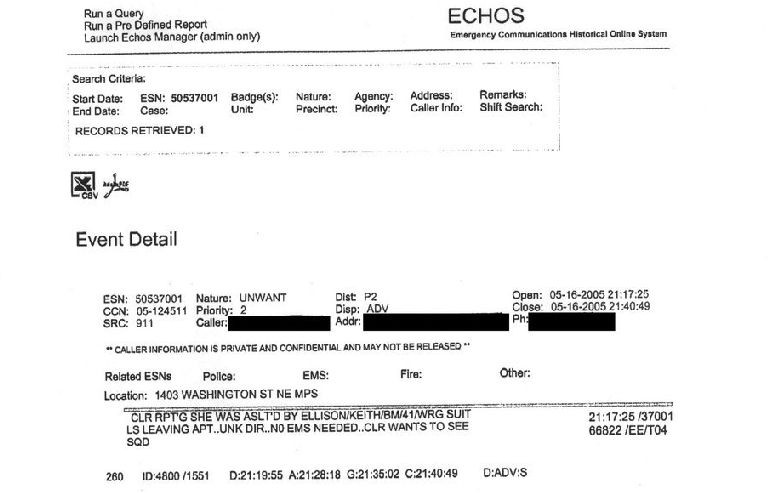 A few days after Monahan’s son’s post, a police report from 2005 surfaced naming Ellison as the person who allegedly assaulted another ex-girlfriend, Amy Alexander. Monahan, in an effort to get somebody to do something, tweeted on Tuesday she would happy to meet with both an investigator and Ellison in the same room, but she said when investigators asked Ellison, he declined to meet with Monahan. Despite the overwhelming evidence of domestic abuse, no Democrats are calling for Ellison to step down from his DNC vice chairmanship. No Democrats are asking him to leave his seat in Congress. No Democrats are asking him to get out of the race for Minnesota Attorney General. No Democrats are calling for an FBI investigation into the allegations against Ellison. The Pink Hat Brigade is not protesting. Madonna and Ashley Judd are nowhere to be found. 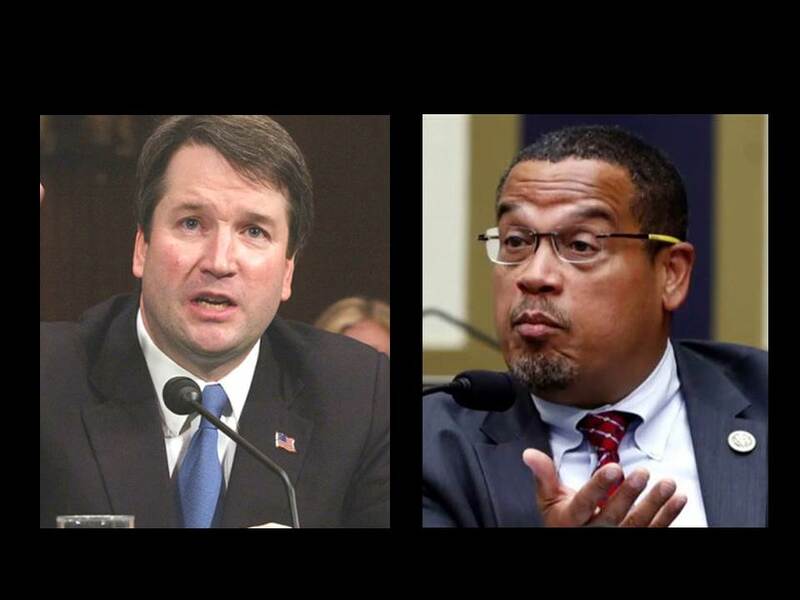 The Democrats say they are “investigating” the allegations against Ellison, but so far, crickets. 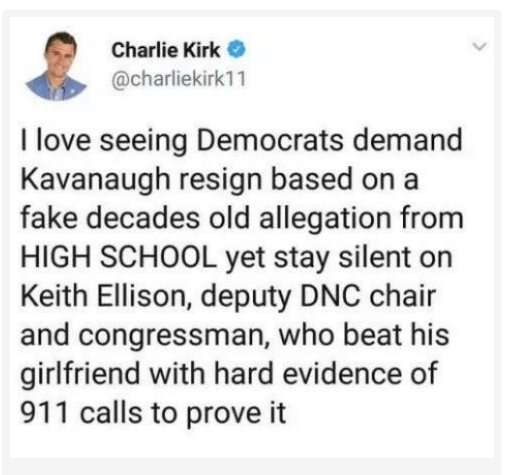 In fact, both the media and the Democrats are so silent about the allegations against Ellison, you would think that these incidents never actually happened. Because the media and the Democrats want you to forget that these incidents actually happened. In our new world of hyper-partisan left/progressive control of the narrative, the moral of this story is women who accuse conservatives must be believed and women who accuse Democrats should not be believed.